With the holidays just around the corner, cosmetic companies are coming out with holiday themed products all over the place! And that means GLITTER! 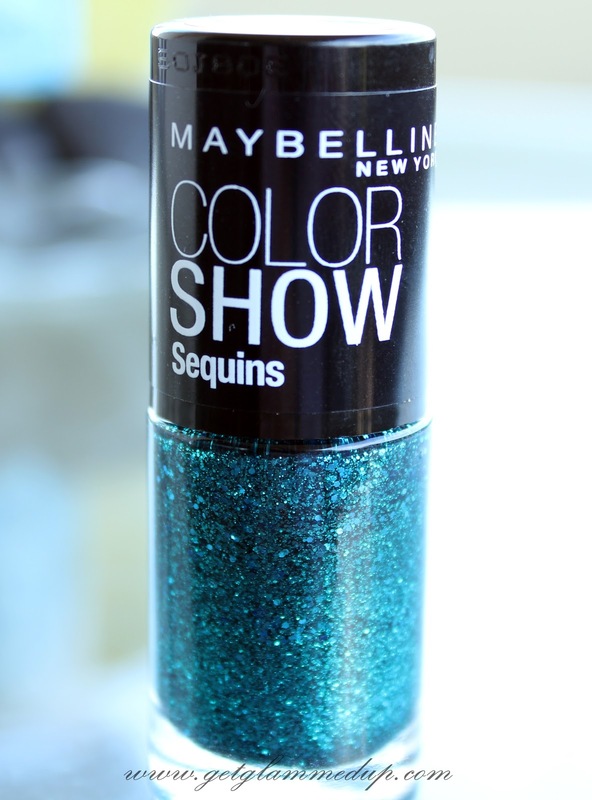 I love glitter, especially in fun colors. So when I saw Maybelline came out with their new "Sequins" collection of glitter nail polishes I knew I had to try some out. The shade Sea-quins instantly caught my eye. 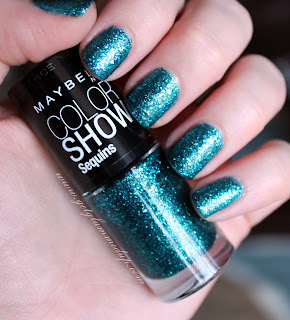 Its a beautiful teal aqua that is loaded with glitter. I don't want to say they are a clear base, because they definitely can pack on color after 2 coats. They are more of a tinted base. 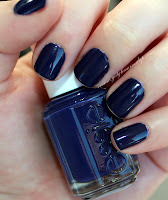 So you can layer them over a color or use 2 coats for the true color. I also picked up the red one, which will be in my next NOTW post. 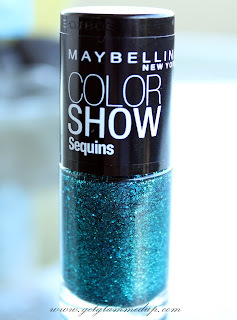 You can find Maybelline Color Show in Sea-quins online here, or at drugstores for around $4.